Copyright: All rights reserved. No images may be printed, copied, linked to another web site or used for any other purpose whatsoever. 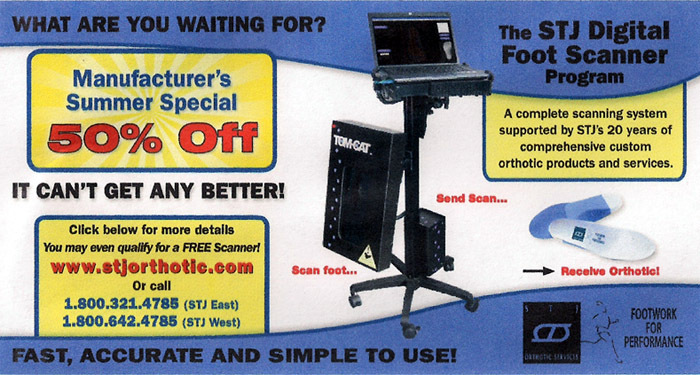 Podiatry Exchange offers Commercial advertising on this Bulletin page! Equipment For Sale ads and Positions Available ads older than 3 months may be removed. Practice For Sale ads older than 6 months may be removed. Podiatrist Seeking Positions Profile ads older than 10-12 months may be removed. Those with ads that have been removed due to time expiration are welcome to re-post and update. It is the responsibility of those placing ads to have them removed when the position has been filled. This is a free service as a courtesy to the profession and it is the responsibility of the advertiser to remove their ad. Any complaints received regarding false, misleading or non existing offers will result in the advertiser being barred from using this free service. Also Please be sure your ad contains a current email address. 5. ONE AD AT A TIME PER PERSON/ENTITY. ADS MAY BE UPDATED HOWEVER THE NUMBER OF UPDATES ARE LIMITED TO TWO (2) SUBJECT TO OUR AVAILABILITY. Click the ad below for more information. AAPPM Takes the Headache out of Running Your Practice. Memberships available for both practitioners and staff members. Save over $200 each time you attend AAPPM workshops! 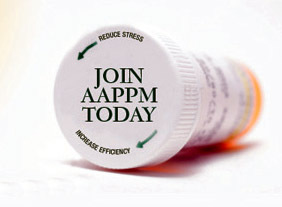 Visit our website at www.aappm.org to join and learn more. For more information, please contact Debra Bodner at bodnerda@upmc.edu or 412-232-5515.